If you’re a couple, you try to be in sync a lot of times. But you’re more conscious of this during the festive season. We always like our partners to be as well turned out as us. It not only gives people #CoupleGoals but just looks cute if you ask us! 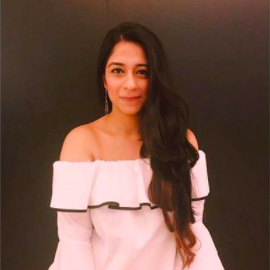 While men look absolutely dapper in a Nehru jacket, women can wear a suit or lehenga depending on how comfortable they wish to be. 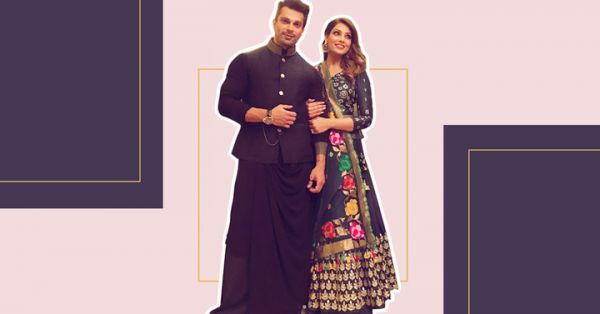 This Diwali, Karan Singh Grover and Bipasha Basu are giving us major fashion inspiration! We absolutely love how Karan styled his Nehru jacket and can’t get our eyes off him! It can also be styled with dhoti pants or denims for an edgy look. A statement watch will just add masculine elegance to the look. For girls, you can wear a pretty lehenga or anarkali and complete your look with simple heels and a bag. Let your tresses loose or pin them up in a bun. Don’t forget to take a couple boomerang! Love this look? Here are the products you need to create it! This pretty black Nehru jacket will look great with any shirt. If your husband is feeling lazy, buy him the set. He can wear them with pants or a dhoti for your next card party! There is nothing that a crisp shirt won’t fix. Your partner can wear it to work with formal pants or with denims for a casual day out! Shrugs are absolute saviours when you don’t know what to wear. You can just wear them with denims for a casual look or with a crop top and skirt set for your next function. Since it’s the festival of lights, you might as well be all pretty and colourful. This kurta will compliment your favourite palazzos or even a skirt! This clutch will go with almost all your outfits. Wear it with a suit as a sling or carry it as a clutch with a lehenga. This number will always come handy!